Prof. Mario Sanna is and Founder & Director of the Gruppo Otologico (Piacenza-Rome, Italy), an internationally acclaimed center for otology, hearing implantology and skull base surgeries. Prof. Sanna is a master in his field known across the world for his pioneering work in Otology and Skull Base Surgery. He is the Founder member of the European Skull Base Society and the Italian Skull Base Society and an honorary member of the French and Spanish Otolaryngological Societies. Prof. Sanna has authored 15 books and over 380 articles in peer reviewed journals. His illustrated text books are extremely popular and some of them have won international awards. He has been an invited faculty in over 250 conferences and academic meetings. Over 200 fellows and 500 observers have been trained at the Gruppo Otologico. Prof. Sanna has contributed tremendously to the knowledge of Otology & Skull Base Surgery and is considered by his peers to be one of the pioneers of modern Skull Base Surgery. Alwyn D’Souza is a Consultant ENT / Head and Neck / Facial Plastic and Reconstructive Surgeon, University Hospital Lewisham since 2003. He has a particular interest in plastic, reconstructive and cosmetic surgery of the face, head and neck and runs a combined dermatology/facial plastic surgery clinic at University Hospital, Lewisham. He received his training in Dublin and Birmingham. He obtained further super-specialist training in facial plastic and cosmetic surgery in Europe and North America. He has published a number of original articles in peer reviewed medical journals and has authored chapters in facial plastic surgery textbooks. He is actively involved in training and teaching postgraduate doctors and GPs and is a faculty member on Facial Plastic Surgery training courses. Nose and Sinus Surgery. Aesthetic Facial Plastic and Reconstructive Surgery, including skin cancer surgery and complex revision surgery of the nose and face. Dr. Peter Costantino is the Executive Director and Senior Vice President of the New York Head and Neck Institute and the Otolaryngology-Head and Neck Surgery Service Line of the North Shore-LIJ Health System, the Chairman of the Department of Otolaryngology-Head and Neck Surgery for Lenox Hill Hospital-Manhattan Eye, Ear and Throat Hospital and the North Shore-LIJ-Hofstra School of Medicine, and the Director of the New York Head & Neck Instituteâ€™s Center for Cranial Base Surgery. In these roles, Dr. Costantino leads clinical, academic and programmatic direction for Otolaryngology services across the North Shore-LIJ Health System. Within the clinical arena, he is one of the few surgeons in the United States experienced in virtually all aspects of cranial base surgery and capable of removing tumors by either an â€œopenâ€ approach involving an external incision on the scalp or face, or by minimally invasive endoscopic surgery. Dr. Costantino specializes in reconstruction of the face, facial nerve for facial paralysis and skull. Dr. Grossan is board certified in Otolaryngology, with special interest in Scuba Diving medicine. Trained at Bellevue Hospital, New York. Publications include use of the Saccharine test, Pulsatile Irrigation for sinus disease, application of Bernoulli principle for sinus drainage. He pioneered using Biofeedback for Tinnitus and Stress Relief. In addition to his 30+ medical journal publications, he has published popular books on Sinusitis, Tinnitus and Stress reduction. His current book, The Whole- Body Approach to Allergy and Sinus Health stresses a total approach to treating sinusitis that includes stress reduction, using humor, better sleep, humming, and pulsed sinus irrigation. He practices non-antibiotic intervention whenever possible. Dr. Franzese graduated from the SUNY Upstate Medical University in 1999. She works in Norfolk, VA and specializes in Allergy & Immunology, Otolaryngology. Marc Thomas, R.N., a member of several professional allergy organizations, has over thirty years of experience in the healthcare profession. Twenty-three of those years have been dedicated to managing the care and education of allergy patients. Dr. Muhyi Al-Sarraf is a Professor of Oncology & Medicine at Wm Beaumont Hospital. He completed his Bachelor of Medicine, Bachelor of Surgery (M.B.B.S.) Field Of Study Medicine from the Baghdad University. He is well known National and International consultant and Speaker. Dr. S. James Zinreich, M.D. is a Professor, Radiology; Otolaryngology Head and Neck Surgery at the world renowned Johns Hopkins Medical Intuition, as well as a successful medical entrepreneur. Always at the forefront of medical innovation, Dr. Zinreich is recognized as the first to start 3D imaging in Neuroradiology in 1984. Together with the Neurosurgery department at Johns Hopkins, was first to clinically introduce Image Guided Surgery in the USA in 1991. Recognized around the world for his speeches, research and articles, Dr. Zinreich became captivated by the world of medical technologies, developing and patenting the world’s finest Multi Modality Skin Markers (still in use today) under the company he founded together with his wife Dr. Eva Zinreich, MD, IZI Medical INC., which produced the Multimodality Skin Markers, as well as other skin markers used in Radiology and Radiation Therapy. Roberto Puxeddu is a Fellow ad Eundem of the Royal College of Surgeon of England. He has been Professor and Chief of Otorhinolaryngology at the University of Cagliari in Sardinia since 2010 and ENT Consultant Head and Neck Surgeon from 2005 to 2010 at the Queen Alexandra Hospital in Portsmouth, UK. He has a specialty interest in laser surgery and Head and Neck Surgery including reconstruction. Dr. Dilyana Vicheva is the President of the Bulgarian Rhinologic Society. She is an Associate Professor at Department of Otolaryngology, Medical University of Plovdiv, Bulgaria. She has been keenly and actively involved in many scientific conferencess on otolaryngology and has lead many as president. Otolaryngology, ENT disorders and treatment and Head and Neck Surgery. Dr. Graciela Pepe is a Professor of Otolaryngology School of Medicine . and Director of Institute of Laser Pepe. Sami A. Al Kindy is an Associate professor Consultant Otolaryngology, Head and Neck Surgeon. He also play a role of an Acting dean at Taif university. He has completed his Graduated from King Edward Medical University, Pakistan, 1990 & Otolaryngology residency training in Republic of Ireland and fellowship obtained in 1999. His research interest mainly focuses on endoscopic nasal and head and neck surgery. He was trained in SME (Subject Mater Expert) for Saudi Licensing Exam. Presently he is a Member of Scientific and curriculum development committee Otolaryngology examination committee chairman. He has more than 15 publications in international and local peer review journals. Professor Mohamed Wael Mustafa is the Head of Audio-vestibular Department, South Valley University, Qena, Egypt. He is also playing the role of Department Head of Audiovestibular Medicine from past one year. He has published many research papers in the field. hearing loss, tinnitus and vertigo,Hearing aid fitting, Cochlear implant mapping. Mohammed A. Gomaa is a professor of Otorhinolaryngology, faculty of Medicine, Minia university, Egypt. I am graduated from Minia University on 1990, spent my residency at Minia university Hospital, I spent all of my career at Minia university till I get the position of Full professor on 2014. I spent a couple of years as a research fellow at The University of Oklahoma Health Sciences Center from 1996 to 1998 working on head and neck cancer. I am a member of American Academy of Otorhinolaryngology, Head and Neck surgery since 1999 and now serving on Diversity committee and on international committee, also serving now as a Global Liaison of Otorhinolaryngology Section of American National Medical Association. I published 25 articles and another 10 now under publication, I published many of them at international Journal with impact factors. My h-index is 6 and have my papers cited in 104 articles so far. I present a lot of my work at highly ranked international conferences In USA, Europe, Dubai, and of course Egypt. 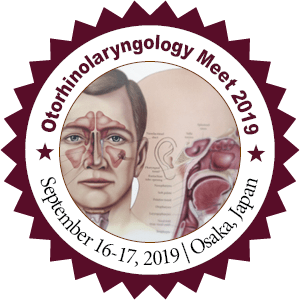 I am consultant, Research Leader, and international scholar in the field of Otorhinolaryngology. Aladdin Mohamed Maarraoui is currently working as a Consultant Physician and Chief in department of Otolaryngology, Mafraq Ambassador, UAE. Almenhali has completed his PhD in Otolaryngology from Sahlgrenska University and postdoctoral studies from Sahlgrenska University. He is the head of ENT department mafraq Hosital Abudhabi UAE. Ameen Hadi Almenhali is currently working as a Consultant and head in ENT Mafraq hospital. He is also a member of Swedish board otolaryngology. Usamah Hadi is currently working as Clinical Professor in American University of Beirut Medical Surgery. His research interest includes Endoscopic Sinus Surgery and Head & Neck Surgery. Professor Zivorad Nikolic graduated both from Medical and Dental Schools at the University of Belgrade, Serbia, Yugoslavia. He has finished his postgradutae surgical specialty training and Master of Science in 1993. at the Department for Maxillofacial Surgery,Faculty of Dental Medicine, University of Belgrade. During his education he had specialty training with ephasis on Plastic and Reconstructive surgery of Head and Neck as well as Craniofacial Surgery at Oxfords Radcliffe Infirmary, Great Britain. During the years 2000-2002 he spent 18 months working at Newcastle General Hospital and Londons Central Middlesex Hospital working as a part of the team for Head and Neck Surgery performing various types of Microsurgical reconstructions after tumour removal, which he continued to perform back at Department for Maxillofacial Surgery in Belgrade until now. After he received his PhD title in 2006 he was appointed as Associate Professor at Faculty of Dental Medicine,University of Belgrade. Andrew Imogu completed his medical training at the prestigious Medical School, University of Ibadan, Nigeria (University College Hospital, Ibadan) at the age of 23 years. He specialized in Otolaryngology with the fellowship of the West African College of Surgeons (FWACS), National Postgraduate Medical College of Nigeria (FMCORL) and International College of Surgeons (FICS). He is the immediate past President Otolaryngological Society of Nigeria (ORLSON). Currently he is the secretary, faculty board member, examiner and member of senate- faculty of ORL National Postgraduate Medical College of Nigeria and West African College of Surgeons. He is a Chief Consultant National Hospital, Abuja and Chief Medical Director- Hifi Hospital, Abuja, Nigeria. Kalimullah Thahim is a medical Doctor having 42 years of experience in the field of medicine and 24 years teaching experience in undergraduate Medical Colleges. In addition to his profession as an ENT Surgeon, he also has the passion of Medical Education. He is presently working as a Professor and HOD in Department of ENT, Chairman Department of Medical Education Sir Syed College of Medical Science. He has trained more than 5000 undergraduate and 50 post graduate doctors. Award received on 300 cases of foreign body in aero digestive tract.